Chelsea-confusion: Conte or Sarri in charge? Chelsea boss Antonio Conte put talk of his departure to one side as he took charge of training on Monday. 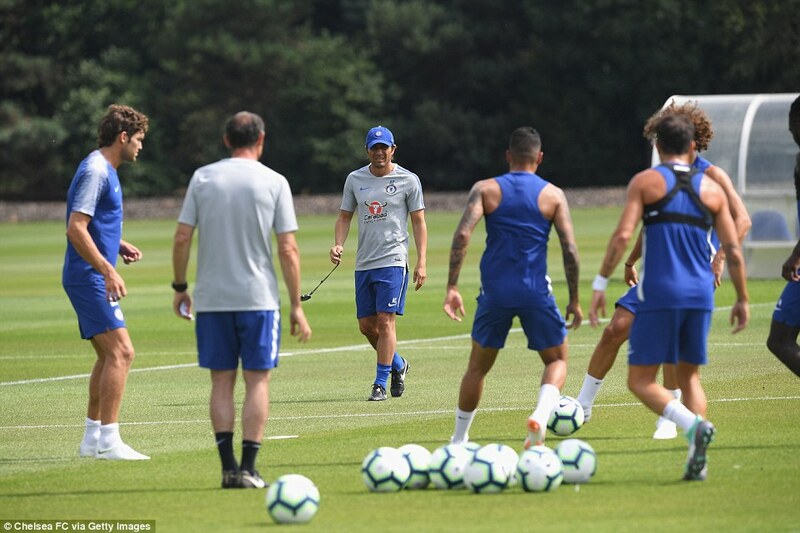 The Italian is widely expected to be replaced by former Napoli manager Maurizio Sarri but the Premier Leaguewinning coach as Conte wore a weary look at the club’s Cobham training base. 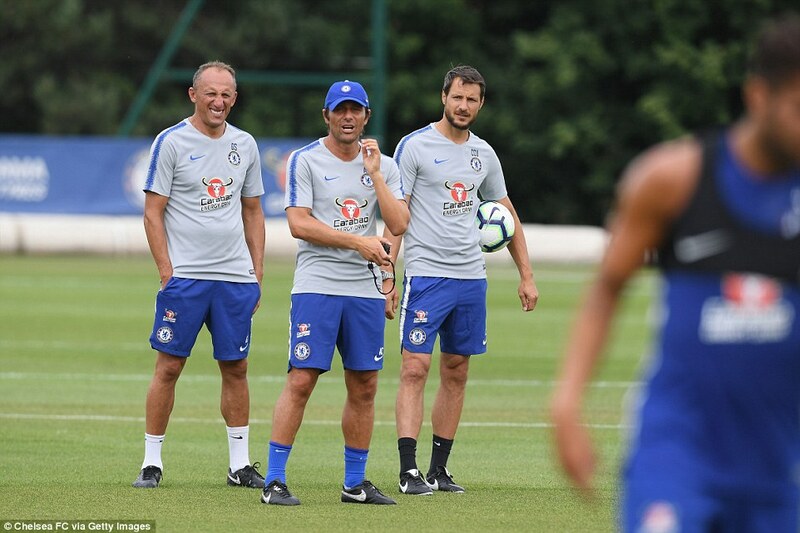 Wearing blue shorts, a grey Chelsea top and a blue Chelsea hat, Conte, along with his coaching staff, got the players who were not involved in the World Cup involved in a number of drills with the Premier League season just 32 days away. 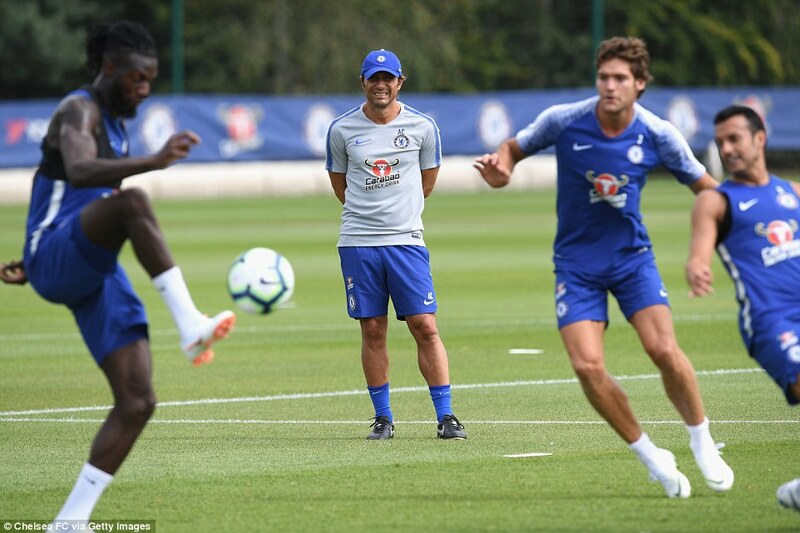 Sportsmail understands Chelsea’s position – which is that they want Sarri to replace Conte – is unchanged regardless of Conte’s work at their Cobham training base over the weekend and Monday morning. Sarri, who left Napoli earlier this summer, has long been linked with the west London club and many expected him to be in charge by now. While that is not the case, sources say a three-year-contract with an annual salary of £5.6m has been agreed. The ongoing saga has delayed transfer business – both incomings and outgoings – with some current players including goalkeeper Thibaut Courtois, understood to be reluctant to stay should Conte remain in charge. Chelsea are also yet to break their summer transfer market duck, although work on targets such as Russia’s Aleksandr Golovin, Daniele Rugani and Brazilian goalkeeper Alisson is ongoing. A resolution on the managerial position is expected before the end of the week. 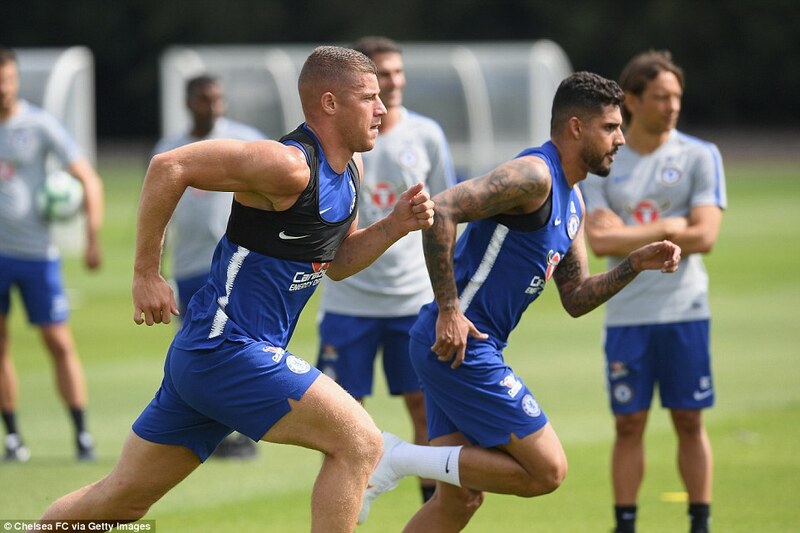 The session provided a number of stars who struggled for large parts of last season to prove they have a future at the club – whether that be under Conte or new management. 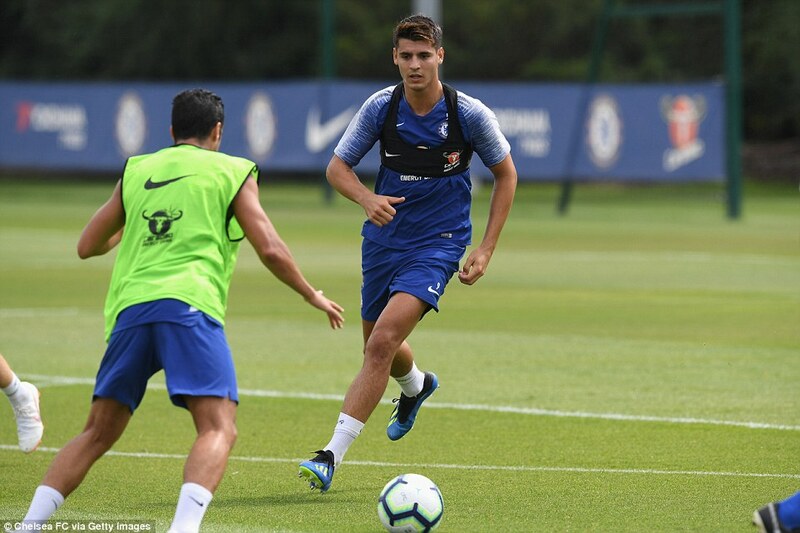 Striker Alvaro Morata – left out by Spain for the World Cup – looked fighting fit while midfielders Ross Barkley and Tiemoue Bakayoko also featured in the session. 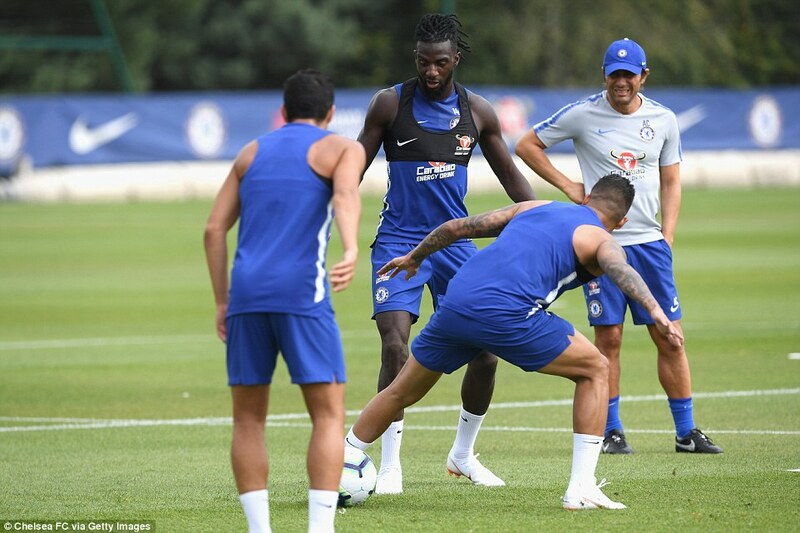 Rising star Ethan Ampadu was not scared to make a tough tackle as he becomes fully integrated into the first-team set-up, with a view to gaining more first-team minutes. 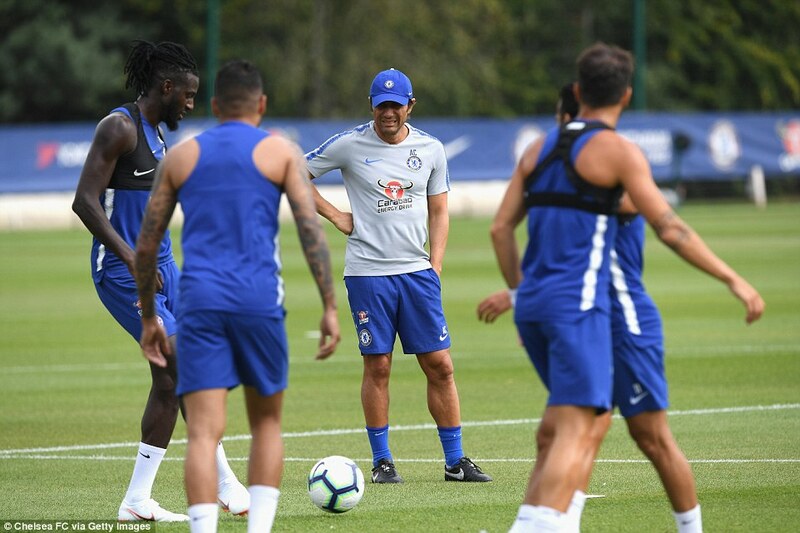 David Luiz, who was given the cold shoulder at the end of last season by Conte, was present as the squad continue to focus on the opener against Huddersfield.